Swiss-headquartered rolling stock manufacturer Stadler Rail has announced its plans to launch an initial public offering (IPO). The company’s shares will be listed on the SIX Swiss Exchange. The IPO date is not determined yet, it will depend on the market conditions. However, Stadler Rail assures that IPO is most likely to be held in the coming months. The largest shareholder of Stadler Rail is Peter Spuhler, the current CEO that purchased the company in 1989. He owns 80 per cent of the Stadler share capital. The remaining assets belong to RAG Stiftung (10 per cent) and the company’s key employees (10 per cent). The IPO will consist of secondary shares owned directly and indirectly by Peter Spuhler. 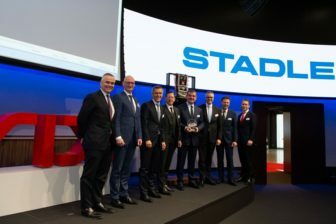 After the public offering, he will remain the largest shareholder of Stadler and will continue to act as the company’s CEO. The main reason for Stadler Rail to launch IPO is to support and facilitate its future growth. During a few last years, the company has been showing good financial results. Meanwhile, a slight downward trend can be noticeable within a three-year period. In 2016 Stadler Rail received net revenue of around 2.1 billion Swiss Francs (more than 1.8 billion Euros), in 2017 – more than 2.4 billion Swiss Francs (more than 2.1 billion Euros) and in 2018 – 2 billion Swiss Francs (circa 1.8 billion Euros). The company’s EBIT margin also decreased a little from 8.7 per cent in 2016 to 7.5 per cent in 2018. At the same time, Stadler Rail increased an order backlog from 9.3 billion Swiss Francs in 2016 (circa 8.2 billion Euros) to around 13.2 billion Swiss Francs in 2018 (more than 11.6 billion Euros). The manufacturer plans to improve its financial results in the next years. 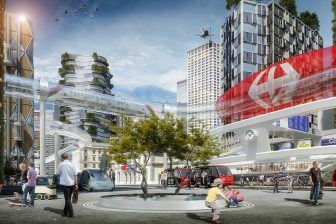 Its net revenue is expected to be doubled by reaching a level of 4 billion Swiss Francs by 2020 (around 3.6 billion Euros). 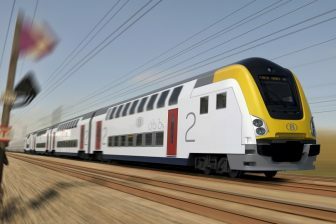 Stadler Flirt train for Syntus, source: Stadler Rail. Stadler Rail was founded in Switzerland in 1942. The company headquarter is located in Bussnang, canton of Thurgau. 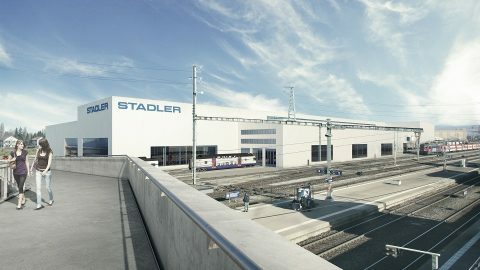 Stadler Rail has several manufacturing facilities in Switzerland (Bussnang, Altenrhein, Töss, Oberwinterthur, Biel/Bienne) as well as abroad – in Germany, Spain, Poland, Czechia and Belarus. The company has sold more than 8,000 trains and locomotives that run in 41 countries. 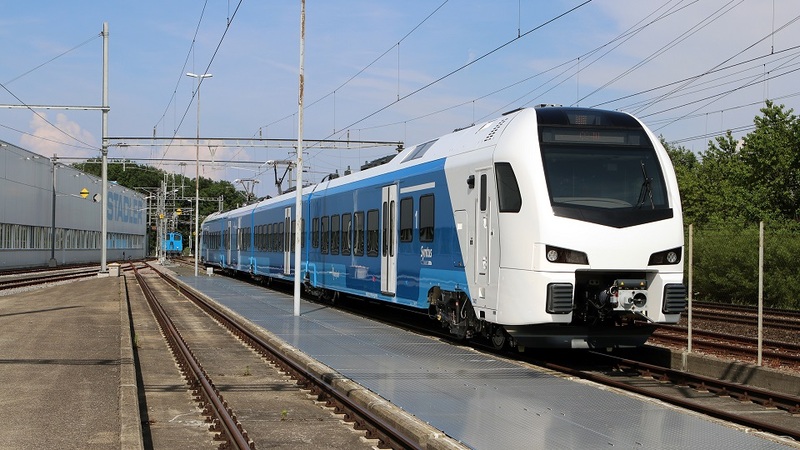 86.6 per cent of Stadler’s net revenue received in 2018 was generated by the production of rolling stock while the remainder was yielded by its Service & Components segment.